I’m still a Mac desktop user, but I’ve been looking at PC laptops again. For remotely fixing servers, I’ve resigned myself to the fact I have to carry a laptop around with me permanently, so I want the lightest one I can get. I don’t care about screen quality, just the ability to run FreeBSD or Debian with a tiled window manager, several xterms and a real serial port. Okay, that last one is a joke. Almost (cries quietly). I’d even almost eschew (gesundheit) an xorg session to just run a widescreen dvtm in ncurses. 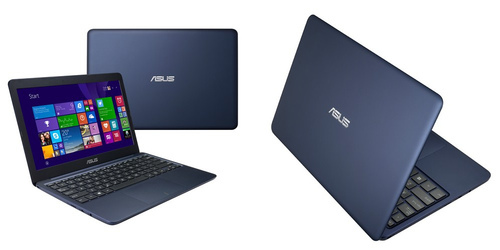 ASUS EeeBook X205 features an Intel quad-core processor that has the power to handle all your daily computing needs. Of course, there isn’t one Z3735, there are four with different minor letter versions. Which one Asus used here is a mystery, but at least we know it’s an Atom. For Linux support, I haven’t held out much hope for Linux support on Atom since buying a Lenovo IdeaPad S300, realising it couldn’t boot without terrible 32bit hacks, and getting rid of it.